Monte Carlo Weekly Photo: Marc Quinn at the Oceanographic Museum - Fire! As I said yesterday, this area of the exhibition is forbidden to children unless accompanied by an adult. Whether it's because of the subject matter of the sculptures or because an unaccompanied child and fire could be dangerous, I don't know. 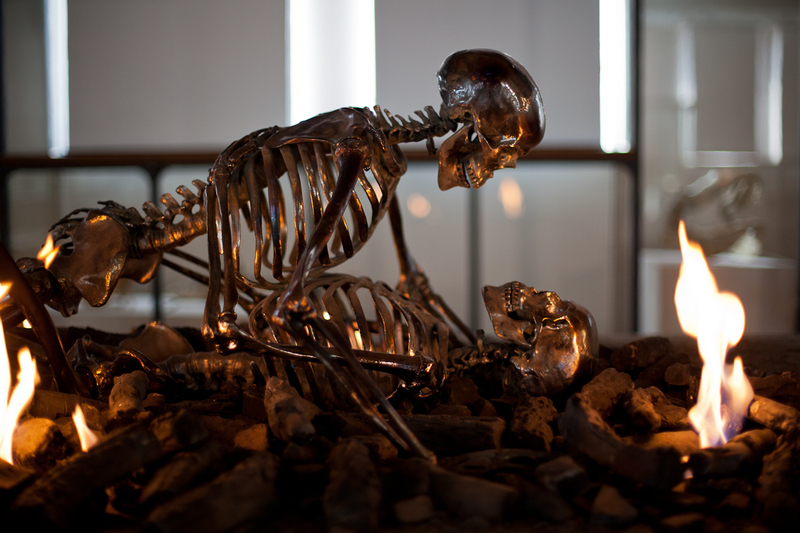 This piece is called Matter into Light: the Discovery of Fire (2011). It's made of hand-treated cobalt-plated bronze, concrete, stainless steel, cement board, ceramic and bioethanol liquid. 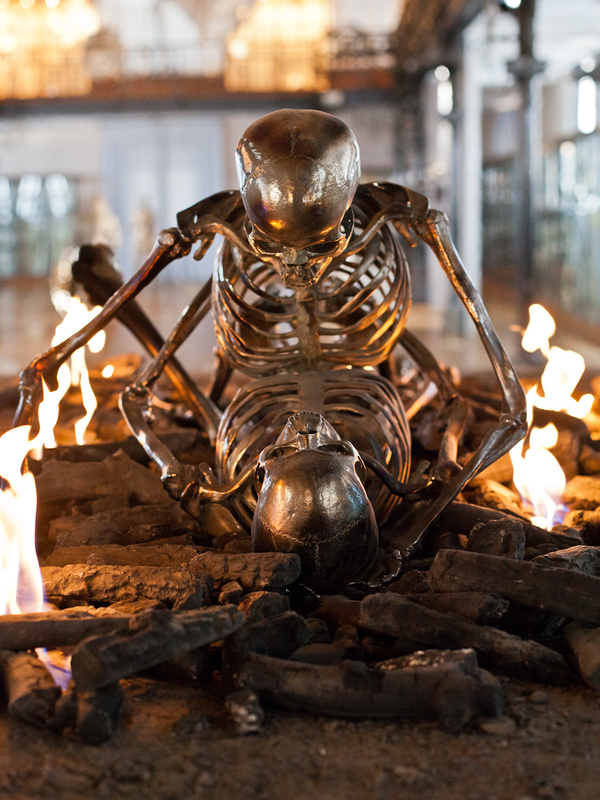 This is one of a series of burning sculptures which thanks to new technology, can burn with real fire inside the museum without a flue. This is just amazing keep it up Jilly! I wonder if each bone is carved individually.......,? It looks a bit wierd, but at the same time interesting! I don't know that to think. I looks like it is rather late for that couple. I hope they took advantage of their time together while they were alive. Otherwise the aquarium and the new turles must be sufficient! I know it is the law of silence, but this really looks like Monaco by night. Wonder what prompted the artist to have this idea? Very interesting . . .
Amazing pieces....I wonder what goes on in his mind!